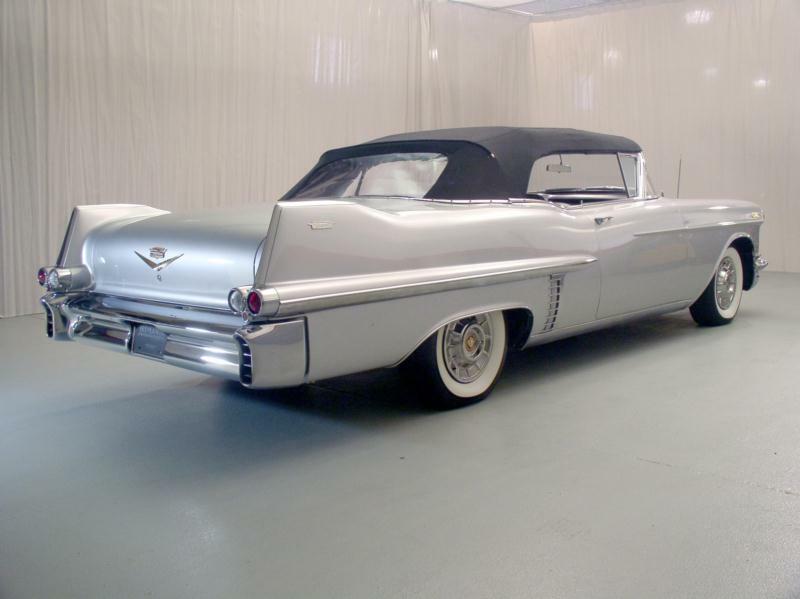 With pesky competitor Packard all but dead, Lincoln having only sold a third the number of Cadillacs in 1956, and with Imperial retailing less than a fifteenth the number of Cadillacs in 1956, GM’s premier luxury division was on a roll. With all-new 1957 cars on all-new X-braced frames, sales were sure to continue in a similar vein. All Series 62 four-doors were now pillarless hardtops. The cars were two inches lower than 1956, with a new reverse slanted wraparound windshield and a slightly longer 129.5-inch wheelbase. 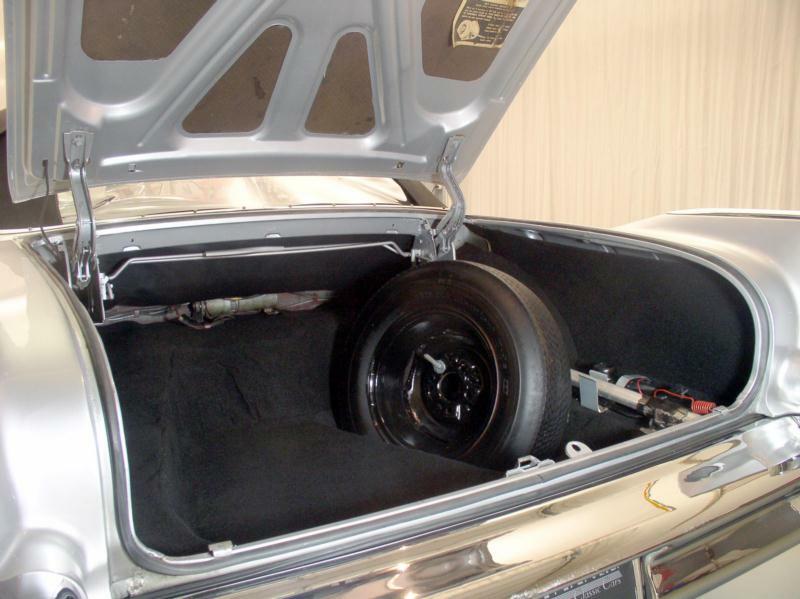 Body styles included hardtop coupe, Coupe de Ville hardtop coupe, Eldorado Seville hardtop coupe, hardtop sedan, Sedan deVille hardtop sedan, Eldorado Seville hardtop sedan, convertible coupe and Eldorado Biarritz convertible coupe. Prices ranged from $4,677 to $7,286 before taxes, shipping and any options or accessories. The engine remained 365 cubic inches, but developed a full 300 hp. 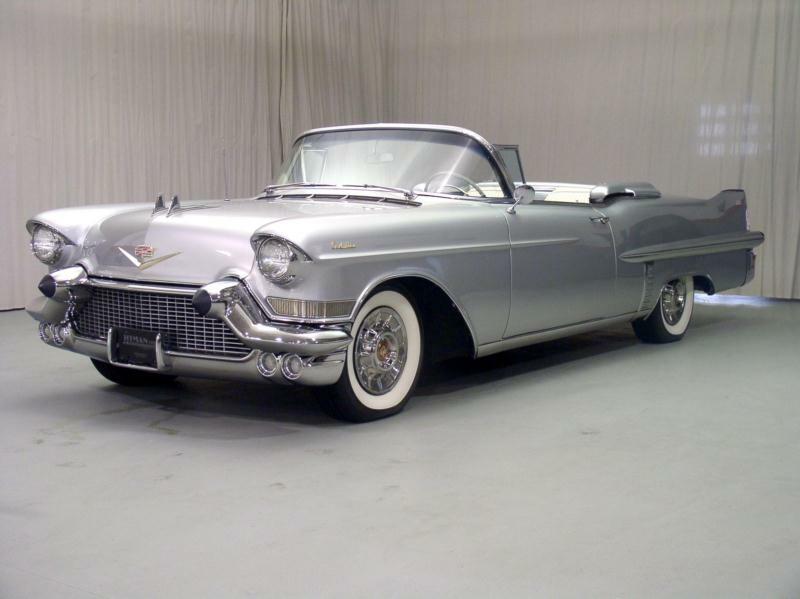 Once the final sales tally was complete for the 1957 model year, Cadillac had moved 3.5 times more cars than Lincoln, and four times more cars than the all-new, flashy and low slung Imperial (which had dramatically increased sales compared to 1956). The 1958 cars received a very restrained facelift, adding the de rigueur new dual headlamps in front along with revamped grille and trim. The engine remained 365 cubic inches, now boosted in power to 310 hp. A new extended deck 6239E variant was added to the line for those who didn’t think a normal massive Cadillac trunk was big enough. Pricing remained broadly similar to the year before, $4,784 to $7,500. 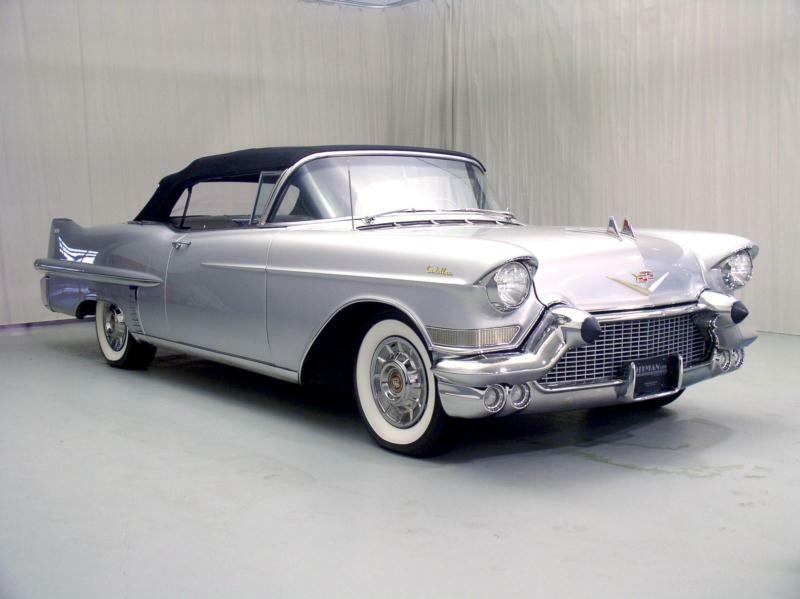 1958 sales worked out to Cadillac’s advantage (largely due to Lincoln’s huge styling and reliability debacle), despite the recession year killing industry sales. 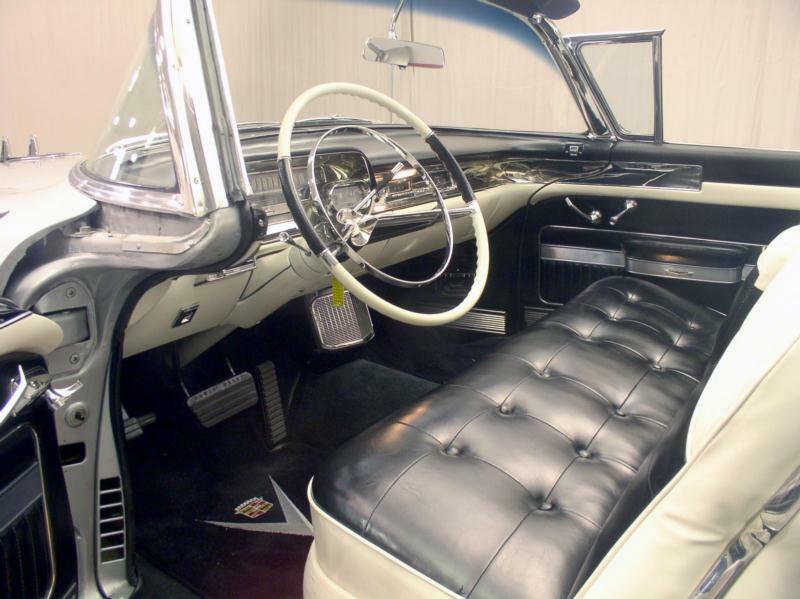 Over 120,000 Cadillacs were sold versus some 17,000 Lincolns and 16,000 Imperials. These cars are collected by Cadillac fans as well as fans of big, flashy 1950s cars with ample fins and tons of chrome. Values range much more widely according to bodystyle than normal, but as always the convertibles are highest.